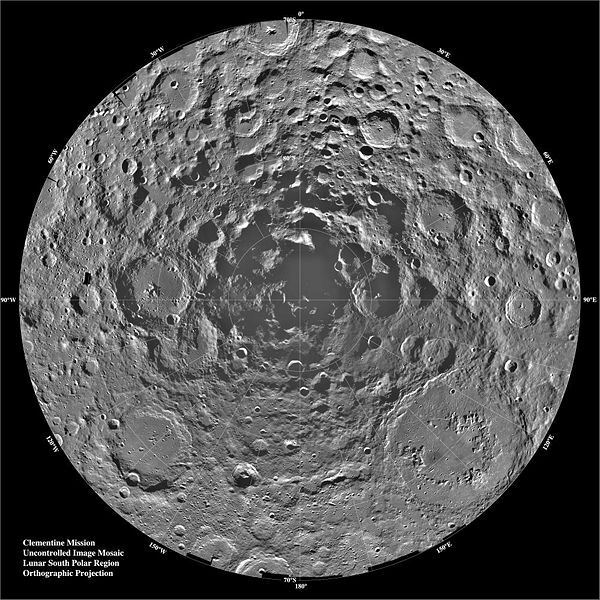 There are billions of tons of water ice on the poles of the Moon. We are going to extract it, turn it into rocket fuel and create fuel stations in Earth's orbit. Just like on Earth you won't get far on a single tank of gas, what we can do in space today is straight-jacketed by how much fuel we can bring along from the Earth's surface. Our fuel stations will change how we do business in space and jump-start a multi-trillion dollar industry. Much like gold opened the West, lunar water will open space like never before. SpaceX Falcon 9 liftoff at Vandenburg. Credit: SpaceX. Getting to Earth's orbit is the proverbial "half-way to anywhere in the universe." It is very, very hard to do it affordably. High cost to orbit is the single largest "barrier to entry" to the expansion of business off Earth. Fortunately, we do have meaningful amount of capital and serious leadership currently invested in this part of the space equation. Among people working on this problem are Elon Musk's SpaceX, Jeff Greason's XCOR, Alan Bond's Reaction Engines, Jeff Bezos' Blue Origins, Richard Branson's Virgin Galactic/The Spaceship Company, Paul Allen's Stratolauncher, NASA, ESA and many others. Once we get to orbit, access to fuel becomes everything. Without fuel, we are limited in what we can get done in orbit and beyond. Today, we lift all fuel out of Earth's deep gravity well. When we launch payloads to lower Earth orbit (LEO), 85% of the rocket's mass will be fuel. The numbers go up, the further you go: 90% to geostationary orbit (GEO), 95% to the Moon's surface and over 98% to the surface of Mars. Once the fuel is used up, the vehicle is useless. Just imagine what the Earth economy would be like if our Earth-based transportation system was built like that: fly an airplane, then throw it away! Although concepts for refuelling in space date back to 1970s, we have no commercial entity seriously working on this part of the space equation today other than Shackleton Energy Company. Why Make Fuel from Water on the Moon? Water can be easily split into hydrogen and oxygen--and that's a powerful propellant for our spacecraft. The reason why it makes more sense to get water from the Moon, instead of hauling it from the Earth's surface is down to pure physics. Our planet's celestial companion is only one-sixth of Earth's size. This means we need to contend with roughly one-sixth of Earth's gravity and need much less fuel to lift any mass off the Moon's surface. Simple physics translates into unignorable economics. Our calculations show that it is about 20 times cheaper to deliver water to lower Earth orbit from the Moon's surface than it is to deliver it from the Earth's gravity well. Over the last 20 years, we have turned this insight into the most comprehensive commercial space program ever created. Bigger payloads. Space junk kept out of the way. Defunct satellites back online. Space tourism. Hotels and research labs in orbit. Mining and manufacturing in space. Space based solar power. Missions to Mars or anywhere else in our solar system. With SEC's refueling stations, all of this comes within our reach. Our program costs less than one-tenth of the Apollo program, generates revenue within 4 years and breaks even within 12. The Apollo program put the first man on the Moon in 7 years and cost over $100 billion. Shackleton Energy will place a team on the Moon within 8 years, provide millions of tonnes of fuel and water for solar system customers, and lay the foundation for space settlement for approximately one-tenth of the cost of Apollo. First revenues are scheduled to be generated within 4 years of program start and full break-even within 12 years. Detailed technical and architectural design including customer engagement and propellant pre-sales. Robotic lunar polar prospecting missions for ice to identify the best mining locations and for the operational base. Development, construction and deployment of prototype spacecraft for systems validation and initial human operations. Human lunar operations and establishment of propellant supply chain to customers - open for business! Supplying fuel in Earth orbit and on the Moon is our first step. Our ultimate goal is to fuel the space frontier by supplying Earth, Moon and Mars with water, fuel and solar power. One day, we aim to become just a boring space utility.